Kitten with Roses T-shirt or SweatshirtWho can resist this sweet kitten's face, surrounded by pink roses? It's the perfect shirt for your sweetie! Mother's Love Cat T-shirt or SweatshirtCat-loving moms and their children alike will love this shirt! Stressed Out Kitten T-shirt or SweatshirtHaving a stressful day? Here's your T-shirt! Sweetie Kitty T-shirt or SweatshirtAre you a sweetie? 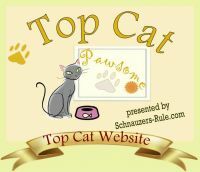 Is your cat a sweetie? Either way, this is a great shirt! White Cat Face T-shirt or SweatshirtIf you have a blue-eyed white cat, you know how special they are! White Cat with Ballet Slipper T-shirt or SweatshirtThe perfect shirt for your little ballerina who loves cats! White Cat with Red Rose T-shirt or SweatshirtThe picture of purity and innocence, this white kitten.